I’ve been working on several new recipes lately! Last nights turned out so well I wanted to share it. 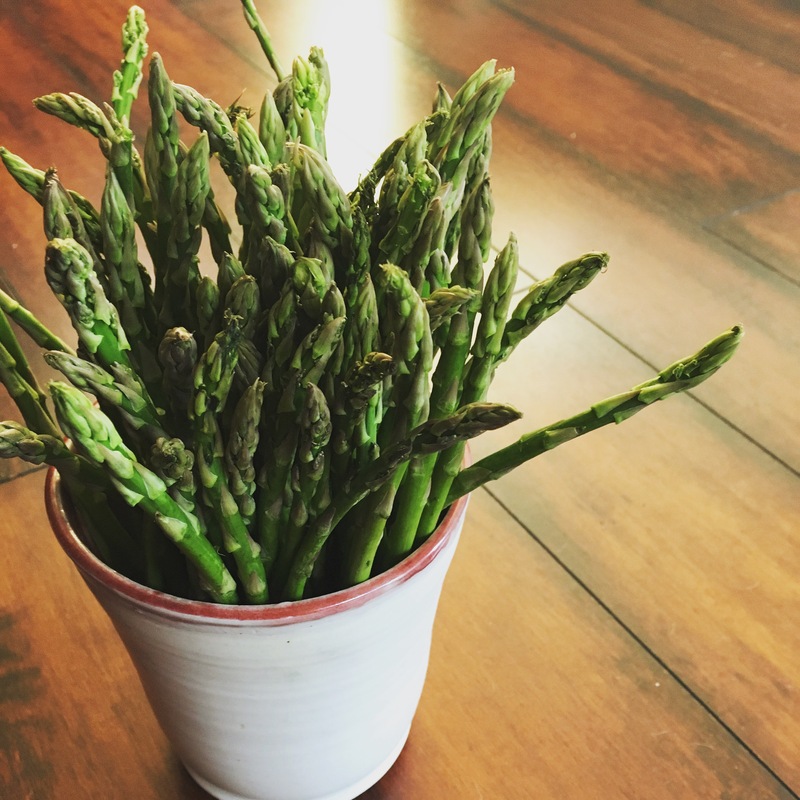 Begin by rinsing the asparagus and trim off ends. Set aside. Rinse chicken breasts, trim off fat and slice down the side to create a butterfly filet. Spread goat cheese and honey onto the chicken. Next, add the raspberry rhubarb spread. I made my spread last night. Simply puree the raspberries in the food processor. Next, cut the rhubarb stalks into pieces. The size is up to you, but a good size is around 0.8–1.2 in or 1″-1.5″. Place the rhubarb pieces and sugar into a sauce pot and cover with water. Cook over low heat for about 10mts. The rhubarb should become mushy and stringy. Remove from heat and let cool. Once cool, add into the food processor with raspberries. It should be plenty sweet enough, but if not add a touch of honey. 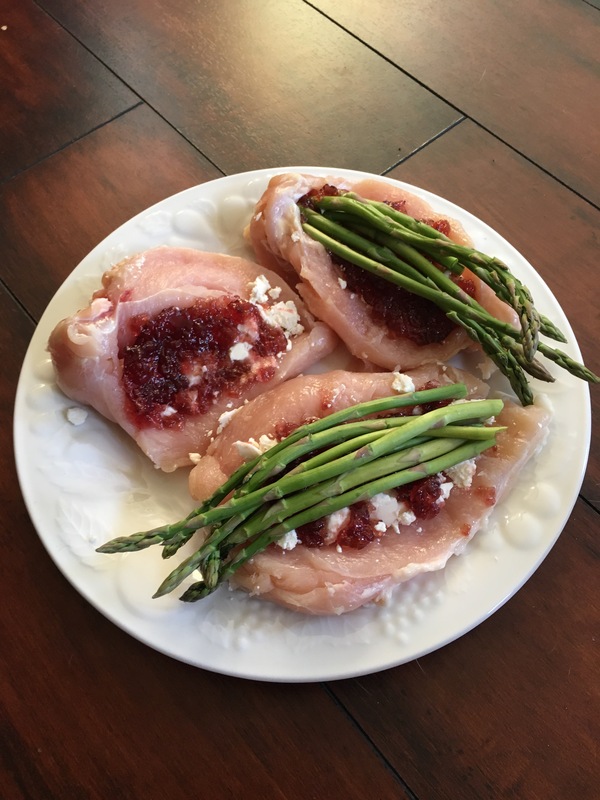 I used about 2tbs of raspberry rhubarb spread on each chicken. If you like it really sweet, add more. 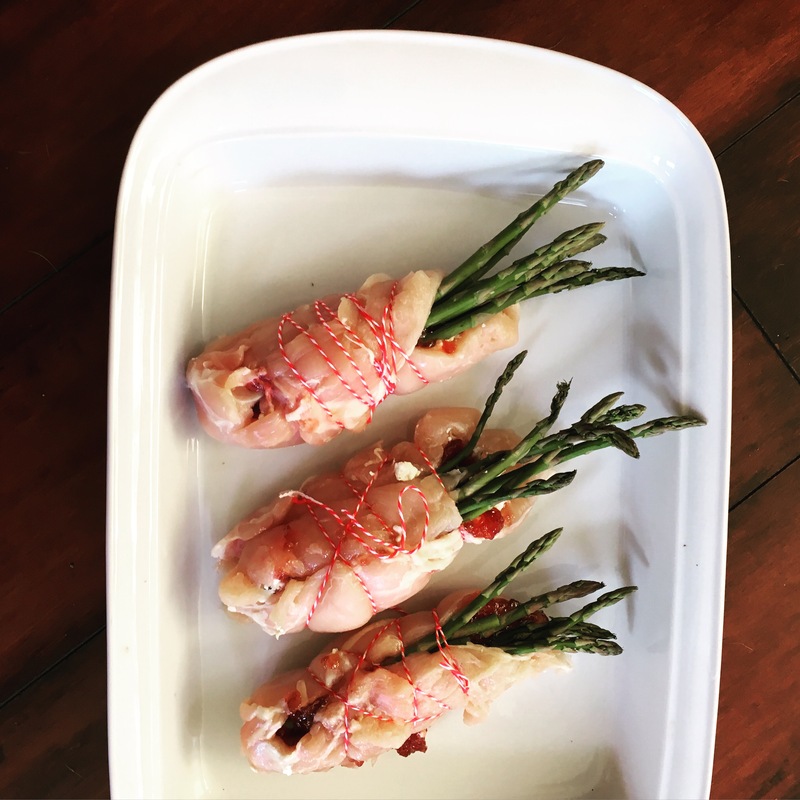 Once you have the desired amount spread on your chicken, insert 6-8 asparagus stalks. Lay the chicken flaps across and wrap with baker’s twine tying at the end to hold. Drizzle with garlic, honey and EVOO. 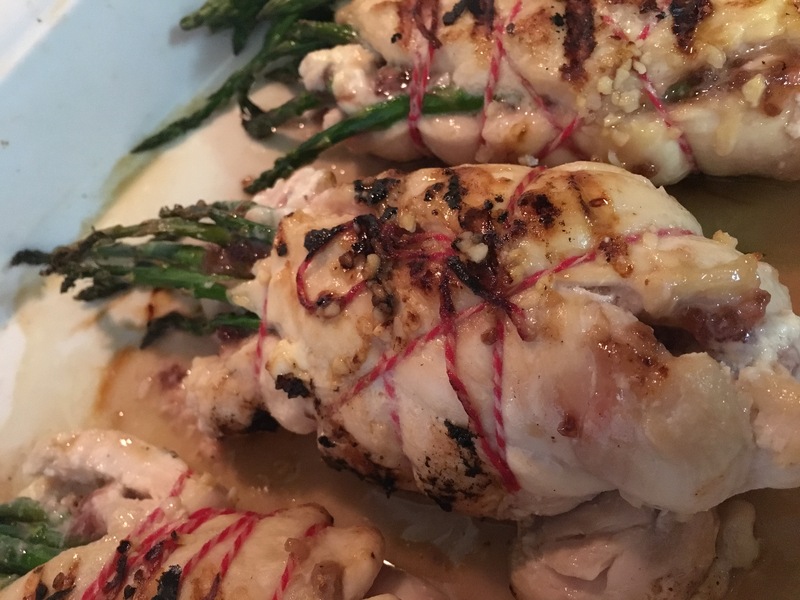 Add remaining asparagus to pan surrounding the stuffed chicken breasts. Bake at 350* for 35-40mts. I pan seared mine after they baked to give them a crispier exterior.